Located in the heart of the South Bay, our office has over 30 Years of property management and real estate experience. Our mission is to manage your property as if we owned it ourselves. Our California Bureau of Real Estate licensed company provides excellent full-service property management and HOA management services from our single use building that was purchased in order to accommodate our client’s needs which includes tenant screening, marketing and leasing, eviction management, rent collections and income and expense reports, rental surveys, property inspections, utility monitoring including water consumption, vendor management, washer and dryer coin collection service and 24 hour maintenance care throughout Los Angeles County. Additionally, we work with the Housing Authority of the City of Los Angeles where we manage Section 8 housing. We are located in the heart of the South Bay in the city of Torrance and our office has over 30 Years of property management and real estate experience, including real estate sales expertise. Our management skills range from the servicing of a single family residence or condominium up to a multi-unit apartment complex or commercial center. Our current portfolio includes properties located in Orange County as well as Riverside County, though our main concentration is in the South Bay areas including: El Segundo, Manhattan Beach, Hermosa Beach, Redondo Beach, Torrance, Palos Verdes, Harbor City, San Pedro, Wilmington, Hawthorne, Inglewood, Gardena, Lawndale, Lomita, Carson, Lennox, Del Aire and Long Beach. 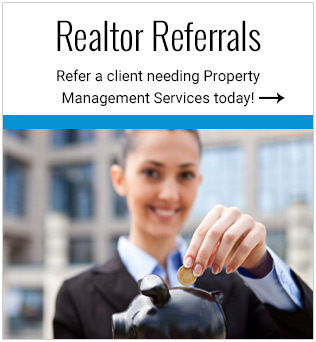 Your real estate investment is in excellent hands with the Pinnacle Property Management Team. We are equipped with a sophisticated management software system where both our landlords and tenants are able to view their activities on our site. Tenants are able to pay on-line. Owners are able to download information from their portal 24 hours per day. Our company has been providing property management since 1989, where we have proudly served the Southern California community efficiently and effectively. Our founders formed Pinnacle Property Management due to their desire to provide a service that they themselves were not able to find to manage their personal investment properties. A solid property management company was formed consisting of a highly trained staff who in turn also trains resident managers when needed. The staff at Pinnacle Property Management is dedicated to the service of our customers with the mindset to treat all properties we manage as if it were their own.